Qlogic QLA4050C PCI/X Netwerkkaart kopen? | That's IT! Gebruikt, maar in perfecte staat. Wordt bulk in antistatische verpakking geleverd. 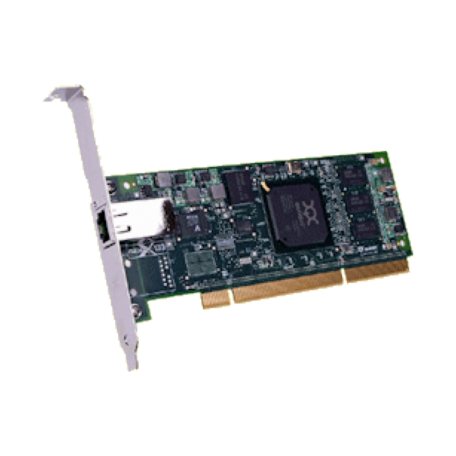 The QLogic 4000 Series one-gigabit Ethernet (1GbE) iSCSI Adapters provide SAN connectivity over Ethernet and TCP/IP network infrastructures. Both the iSCSI and TCP/IP processing functions are performed on the adapters and not on the host server CPU. By offloading these functions to the adapters, more host server CPU processing power is available to server applications, thus increasing the overall iSCSI SAN performance. The 4000 Series supports the latest version of IP addressing (IPv6), which is a requirement for nextgeneration government installations, and enables all IT administrators to begin building tomorrow’s iSCSI SANs today.